Throughout American history, ingestion (eating) has functioned as a metaphor for interpreting and imagining this society and its political systems. Discussions of American freedom itself are pervaded with ingestive metaphors of choice (what to put in) and control (what to keep out). From the country’s founders to the abolitionists to the social activists of today, those seeking to form and reform American society have cast their social-change goals in ingestive terms of choice and control. But they have realized their metaphors in concrete terms as well, purveying specific advice to the public about what to eat or not. These conversations about “social change as eating” reflect American ideals of freedom, purity, and virtue. 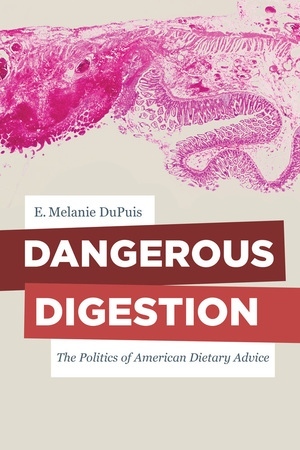 Drawing on social and political history as well as the history of science and popular culture, Dangerous Digestion examines how American ideas about dietary reform mirror broader thinking about social reform. Inspired by new scientific studies of the human body as a metabiome—a collaboration of species rather than an isolated, intact, protected, and bounded individual—E. 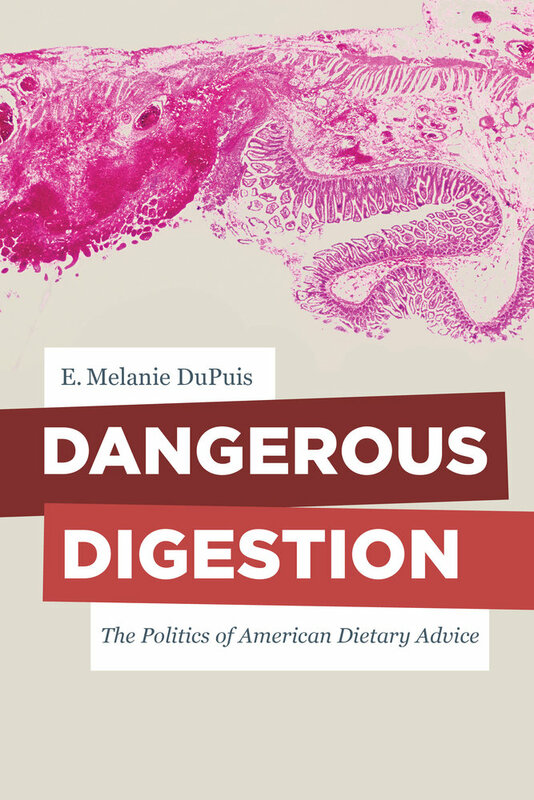 Melanie DuPuis invokes a new metaphor—digestion—to reimagine the American body politic, opening social transformations to ideas of mixing, fermentation, and collaboration. In doing so, the author explores how social activists can rethink politics as inclusive processes that involve the inherently risky mixing of cultures, standpoints, and ideas. E. Melanie DuPuis is Professor and Chair of the Department of Environmental Studies and Science at Pace University. She is author of Nature’s Perfect Food: How Milk Became America’s Drink, among other books.